Photograph, Picture of the remains of a barrack at Fort McKavett. Image available on the Internet and included in accordance with Title 17 U.S.C. Section 107. FORT MCKAVETT. Fort McKavett, twenty-two miles southwest of Menard in southwestern Menard County, was established by the United States War Department as Camp San Saba (not to be confused with Camp San Saba in McCulloch County) in March 1852. The camp covered about 2,373 acres near the right bank of the San Saba River. Several infantry companies were stationed there in an effort to protect frontier settlers from Comanche Indians. The post was abandoned in March 1859 but reoccupied in April 1868 under the name Fort McKavett. The new name was probably chosen in honor of Capt. Henry McKavett, who was killed in the battle of Monterrey in 1846 (see MEXICAN WAR). Much of the post was in ruins when Fort McKavett reopened, and the troops lived in tents for the next year or two while the facilities were rebuilt under the command of Gen. Ranald S. Mackenzie. The completed fort had four barracks, twelve officers' quarters, a magazine, a hospital, a guardhouse, a bakery, two storehouses, a post office, three stables, a headquarters building, a forage house, and a thirty-acre garden. Supplies for the fort were hauled by wagon from San Antonio. After the second battle of Adobe Walls in 1874, the Indians presented little threat to settlers, and the military presence at Fort McKavett was no longer essential. The fort was closed on June 30, 1883. 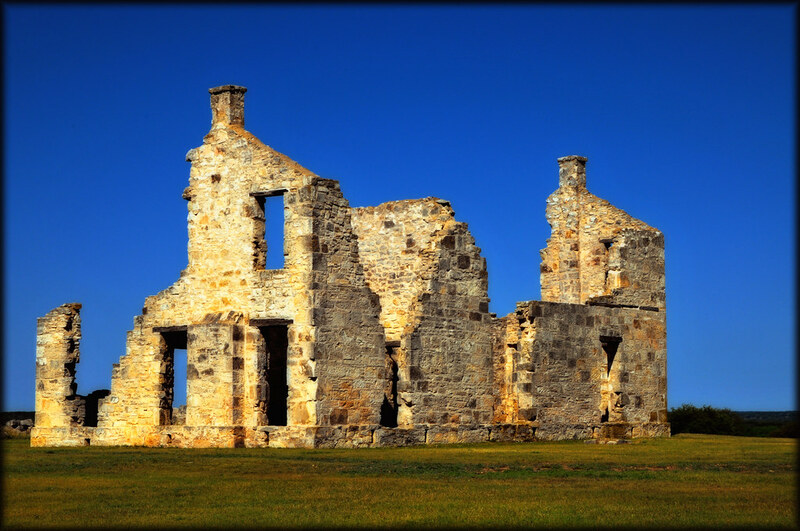 Most of the buildings either were used by townspeople for other purposes or fell into ruin. Fort McKavett State Historical Park opened in 1968, and many of the buildings were acquired by the state and restored. M. L. Crimmins, "Fort McKavett, Texas," Southwestern Historical Quarterly 38 (July 1934). Menard County Historical Society, Menard County History-An Anthology (San Angelo: Anchor, 1982). Vertical Files, Dolph Briscoe Center for American History, University of Texas at Austin. Handbook of Texas Online, Vivian Elizabeth Smyrl, "FORT MCKAVETT," accessed April 25, 2019, http://www.tshaonline.org/handbook/online/articles/qbf36. Uploaded on June 12, 2010. Modified on October 7, 2016. Published by the Texas State Historical Association.